A light covering of new snow, mostly falling el miércoles por la tarde. Temperatures will be below freezing (max -1°C el lunes por la mañana, min -3°C el lunes por la noche). Mainly vientos frescos. A moderate fall of snow, heaviest el viernes por la mañana. Temperatures will be below freezing (max -2°C el jueves por la mañana, min -10°C el viernes por la noche). Mainly vientos frescos. La tabla anterior muestra el pronóstico de tiempo para Grimentz en la altitud específica de 3001 m. Nuestros modelos meteorológicos sofisticados permiten prever pronósticos para la cumbre, la mitad y la base de Grimentz. Para aceder a los pronósticos de tiempo a otras alturas, pinche en la navegación en la parte superior de la tabla. Para una visión general, consulte el Mapa meteorológico de Switzerland. I don't understand these sometimes negative reviews. Simply put, Grimentz is wonderful. 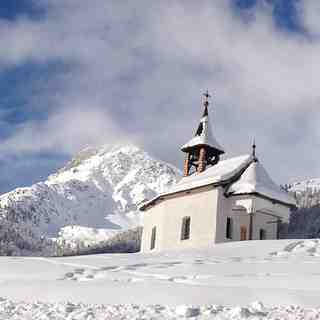 I have spent years skiing in virtually every major Swiss resort, big and small, and many French ones. But I am new to Grimentz which has it all. Charming old village, really hospitable people, few queues, good food, amazing views and remarkably well-kept runs. And it's less expensive than bigger resorts. Excellent service in the Intersport ski shop. Most important, the kids gained confidence and hugely enjoyed the excellent ski school.Yes, we have just come back after a massive drought combined with warm weather, so the skiing was limited as it is everywhere at present in the the Alps. 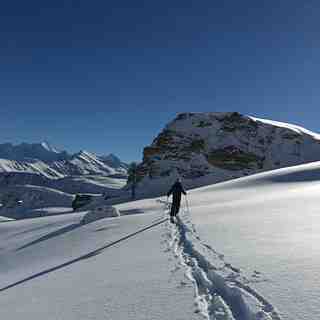 But anybody with a modicum of intelligence should be able to see the opportunity for really great off-piste skiing when there is snow and the connection with Zinal increases the skiing considerably. The Hotel Cristal is lovely with a short walk to the lifts. Oliver and his outstanding staff are delightful, kind, hospitable and always smile taking trouble to make you feel really welcome. Some mindless people are bored in the evening? How about taking a good book or Kindle and relaxing comfortably with a drink.